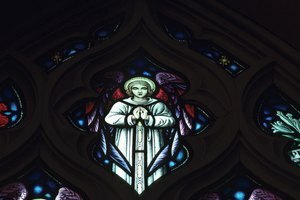 Stained glass is a common sight in Catholic, Lutheran and Presbyterian churches. Catholics, Lutherans and Presbyterians share many beliefs. They all believe that God has revealed himself as the Trinity of Father, Son and Holy Spirit. They all believe that God sent his son Jesus Christ to be the savior of mankind. 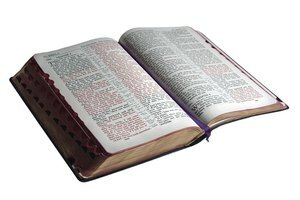 Additionally, they all believe the Bible and the church's traditional creeds -- the Apostle's Creed and the Nicene Creed, both of which summarize Christian beliefs -- to be authoritative. There are, however, several differences between the three Christian denominations. Both the Lutheran and Presbyterian churches trace their heritage to the early days of the Protestant Reformation in the 16th century. 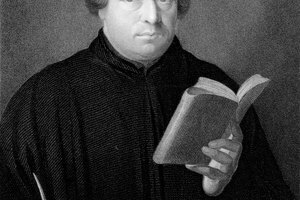 The Lutheran Church was predominantly influenced by a German priest named Martin Luther. 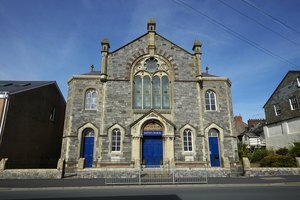 The Presbyterian Church was predominantly influenced by French-Swiss theologian John Calvin and later by Scottish theologian John Knox. The Protestant Reformation was initially sparked by Martin Luther's objection to the Catholic Church's selling of indulgences, which he equated with religious extortion. At first, Luther attempted to bring reform to the Catholic Church. In turn, the Catholic Church excommunicated him, setting off a course of events that led to the splintering of Western Christianity into Roman Catholic and Protestant factions. The main tenets of the new Protestant movement were summed up in the Five Solae: Sola Fide -- by faith alone, Sola Gratia -- by grace alone, Sola Christus -- by Christ alone, Sola Scriptura -- scripture alone and Soli Deo Gloria -- to God alone be glory. These solae were written to oppose Catholic teachings, specifically those which allowed the veneration of saints, church tradition equaling the Bible in authority, and those regarding the church's role in salvation. 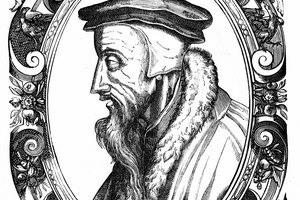 Luther and Calvin agreed on most issues. One of the important differences that caused the Reformed Church -- of which the Presbyterian Church is a branch -- to split from the Lutherans had to do with the exact nature of the sacraments of baptism and Holy Communion. Lutherans retained the historical Catholic belief that the sacraments actually convey God's grace to the recipient. Presbyterians believe that the sacraments are a sign or seal of God's covenant with the believer. All three denominations agree that the presence of God is real within the sacraments. 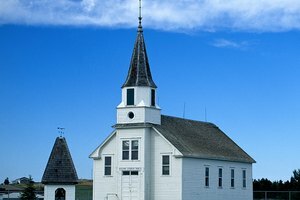 Presbyterians and other branches of the Reformed Church believe in "double predestination." Simply put, they believe that before the foundation of the world, God ordained some to be saved and enjoy eternity in heaven and some to be condemned to hell. Lutherans agree that God has chosen to save those who trust in Christ, but that those who are condemned are condemned because of their own refusal to come to faith in Christ. According to The Catholic Encyclopedia, the Catholic Church, similar to Lutherans, teaches that "the term predestination is reserved for the Divine decree of the happiness of the elect" and that "many are eternally lost through their own fault." Today, a casual observer would see a lot in common between Catholic, Lutheran and Presbyterian worship services. Each denomination uses a call-and-response form of worship known as a "liturgy." 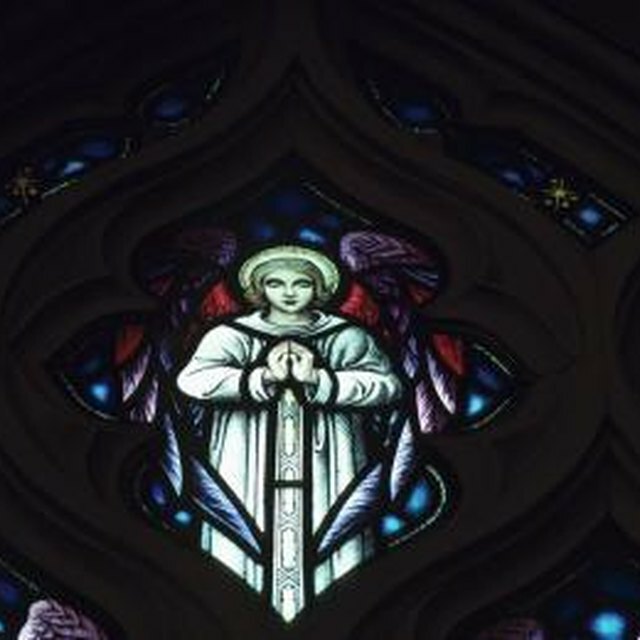 Significant differences include the presence of statues representing saints in Catholic churches, which are not present in Lutheran or Presbyterian churches. Catholics often ask saints to pray on their behalf; Lutherans and Presbyterians do not. Markey, Dell. "What Are the Core Differences in Religion of Catholics, Lutherans & Presbyterians?" Synonym, https://classroom.synonym.com/core-differences-religion-catholics-lutherans-presbyterians-6929.html. Accessed 25 April 2019.